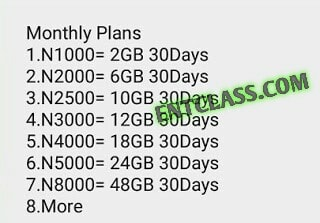 Glo has been one of the telcos that is providing their customers with cheap data plans at an affordable prices. But the major issue with Glo is their poor network coverage. People are not very happy with this, though, there are 3G network in some locations. I have used Glo in my area but the download speed is very very poor and frustrating. I just hope with time, they will improve on their network. You can alternatively access all these data plans by dialling *777# => 1. Are you already using one of these data plans? Is Glo fast in your location? Are u for real! Are u kidding? Can it be used on an andriod device? Yes, It can be used on Android and all internet enabled devices. Mtn network is really getting on my nerves with their constant request for me to update my Sim registration. Thinking of porting to glo network, but don't know how to go about it. Not only MTN. I do receive same message on my Etisalat line. Though, the text isn't that serious. Before you port to Glo, make sure their browsing network is Good there.